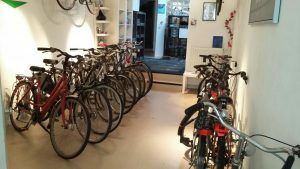 Because of our fast changing inventory it has no use putting bikes on our site. If you contact us we can tell you if we have the right bike for you! Or just visit us at Hoogbrugstraat60A. We have all all types and sizes! Because our inventory changes quickly we can not keep the site up to date with every bike that we have. Contact us and we well tell you if we have the right bike for you.